We are delighted to announce that the village of Karantaba is the latest to benefit from the sustainable initiative, ‘Light up a Village’. 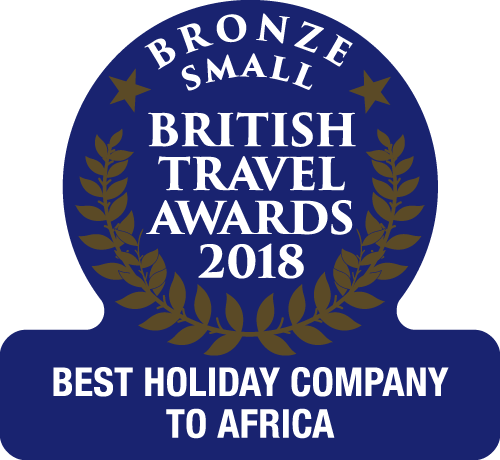 Earlier this year, The Gambia Experience donated the prize of a holiday for two to The Gambia to be auctioned at the AITO (Association of Independent Tour Operators) conference, raising a fabulous £1,900 for our Community Development Fund. 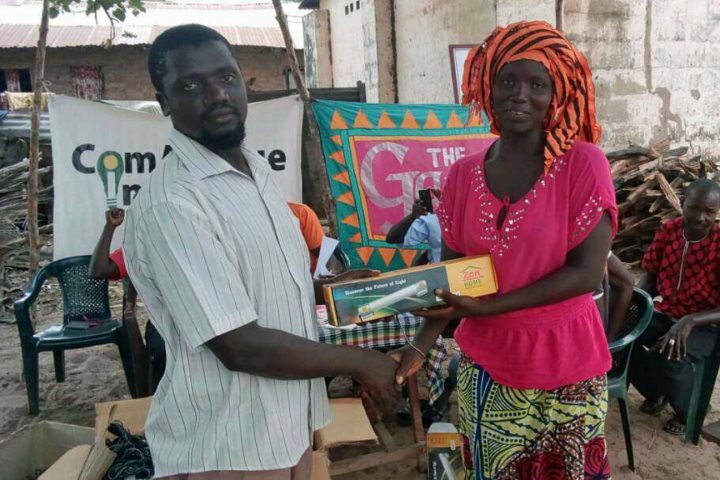 As a result, 44 ZonHome LED tube lights with solar panels have been donated to the village of Karantaba in Kiang West, Lower River Region of The Gambia. The solar powered lights are not only cheaper for the village, they are also much safer and healthier to use than candles. 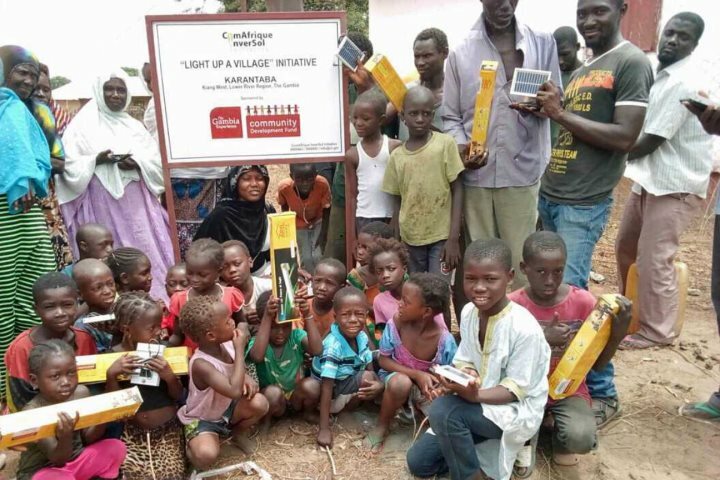 As with all the communities taking part in the ‘light up a village’ initiative, every household that has been given a solar powered light has pledged to make a small payment each day (costing far less than the candles they previously used) to a village fund. To help keep the initiative afloat, a village solar power committee has been established, and they are responsible for collecting these payments. Money raised will be used to replace worn out lights and to supply new lights where there is a need within the community, ensuring the projects sustainability. 50% of the remaining funds will be spent on educational projects, while the remaining 50% will be spent on any local community project of the village’s choice. We are delighted that the people of Karantaba have received these lights, and we are sure there will be many benefits to the whole community, thanks to this initiative. 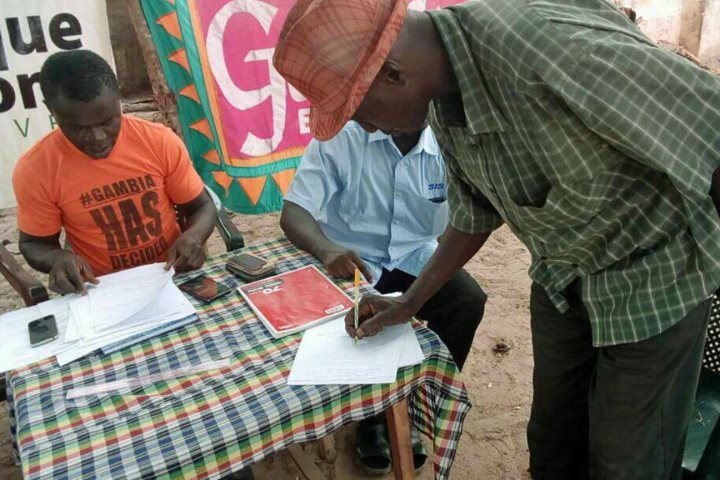 This is the eighth village that The Gambia Experience has been able to support in this way, thanks to ComAfrique Inversol Initiative who implement and oversee each project, along with everyone who supported the initiative with donations big or small. 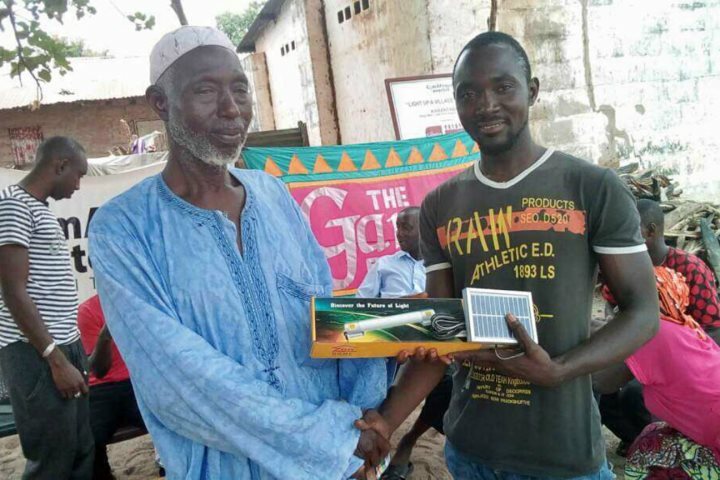 Together we are lighting up The Gambia, one village at a time.